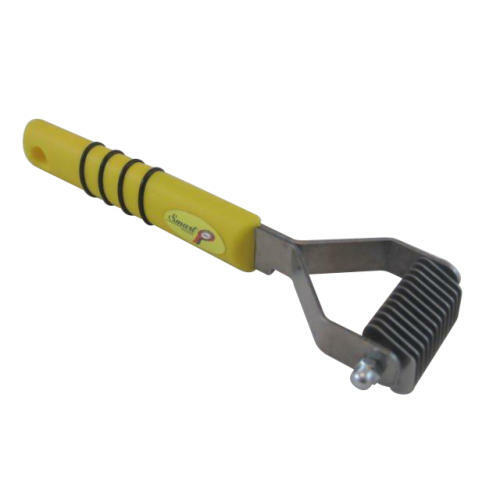 The yellow handle easi grip range takes the same blades as the professional wooden handle range but at a lower end price. The superfine and fine blades have 20 teeth the medium has 12 teeth and the coarse has only 8 teeth. Spare blades available.